Honor this day by remembering our passed military family and friends. 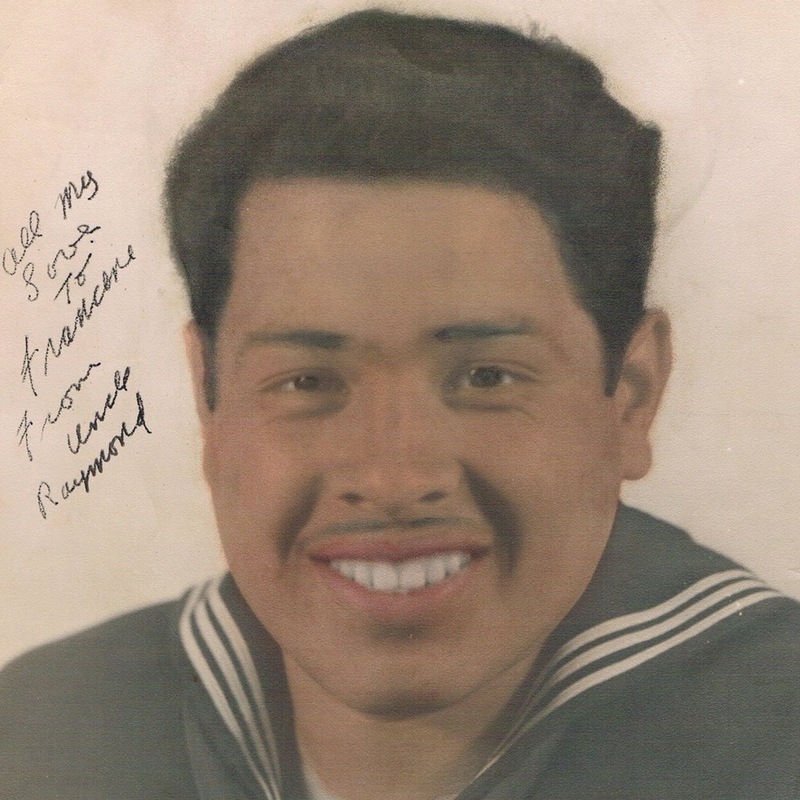 I’m looking forward to decorating my Uncle Raymond Rodriguez’s grave site on Monday. He served in the US Navy from 1947 – 1970 during the Korean and Vietnam Wars. This photo was given to my mother, Francine Flores. Then finally NRTC Stockton from 1969-1970. 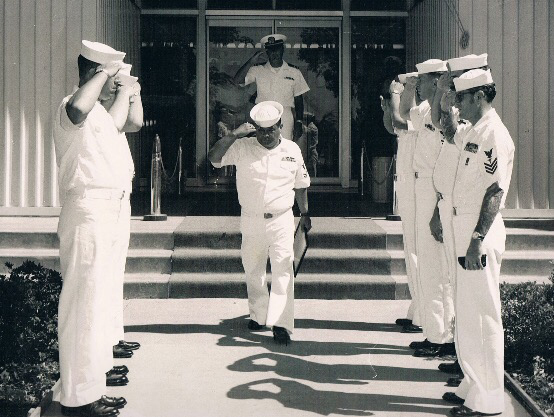 This photo was taken in July 1970 when Raymond Rodriguez retired from service. My fondest memories are of him taking care of my cousins, sister and I over the summer. We loved when he would take us swimming at the pool on Stockton’s Rough & Ready Naval Depot. And then are times where we just simply hung around the house. He could be so ornery at times but he loved us so much. He passed away from cirrhosis of the liver in 1988. My Uncle Raymond and I just hanging around. Remembering him now has brought up questions I wish he was here to answer. I wish, and this is a call out for any help, I could find photos of him in active duty. Online searches of his ships and base locations have led me to several photos but not a glimpse of him. I would appreciate someone who can help direct me in that kind of search. Thank you for sharing in this day with me!